Still haunted by the events that took place during his escape from Zenith, Ezra Blanchard and a small team of Creux pilots begin the dangerous road to the lost city of Kerek. It is in those ruins where they might find the pieces that will complete the Armor of God, humanity’s only chance to avoid annihilation. Though he has mastered the Minotaur, Ezra soon discovers that the threat created by the Laani doesn’t only exist on the outside, but also within him, and that not everything is as it seems. On their last-ditch effort to stop the rebirth of a destructive god, shocking truths will be revealed, some of which will change them forever. The creatures spawned by the monstrous divinity Lys have begun their final march, and time is running out. 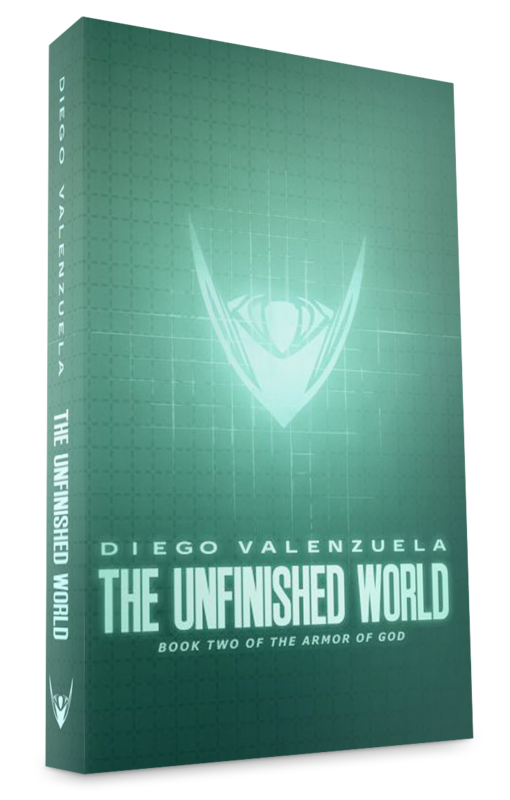 Not everyone will survive in The Unfinished World, the epic sequel to The Armor of God. Piers Anthony, best-selling author of the Xanth series.